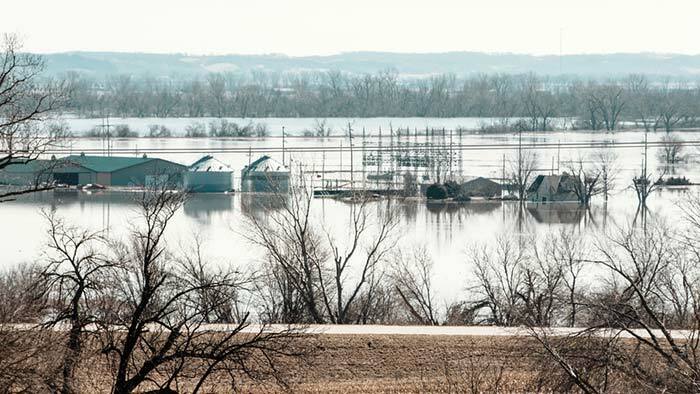 Heartbreaking images and stories of the devastation caused by recent flooding that ravaged Nebraska and other parts of the Midwest are filling our news feeds by the minute. The devastation is historic, and members of the UNO family — students, alumni, faculty, staff, friends — have been personally impacted. The UNO Alumni Association wants to provide helpful information, most especially for those directly impacted by flooding. Listed below are connections to ways UNO can assist flood victims, including on-campus help. Also provided are links to opportunities for others to volunteer their help. Words seem inadequate at moments like this, but we are encouraged that the “Maverick Spirit” exemplified by UNO alumni and others will help our state recover from this challenging time and emerge #NebraskaStrong. May all Nebraskans experience comfort and strength as the recovery and rebuilding move forward. UNO has established a list of campus resources available to students and others in the Maverick family impacted by flooding. That includes help related to housing, academic support, counseling and psychological services, and more. UNO is maintaining a page listing off-campus assistance for flood victims. That includes help UNO’s Nebraska Business Development Center is providing to businesses throughout the state and connections to various volunteer opportunities for individuals. The University of Nebraska Foundation has established a new fund to support university students at UNO and the other NU campuses who are facing sudden financial hardship from the recent flood or other emergency situations. Contributions to the University of Nebraska Emergency Assistance Fund are being accepted now. Gifts from individuals, companies and organizations will help currently enrolled students and employees who are in crisis because of natural disasters, home displacement, food insecurity or other emergencies. Aid from the fund will be awarded by the university president based on need. Gifts can be made securely online at nufoundation.org/nuemergencyfund. Gifts may also be mailed to University of Nebraska Foundation, P.O. Box 82555, Lincoln NE 68501-2555. Make checks payable to the University of Nebraska Foundation and include “NU Emergency Assistance Fund” on the memo line or enclosed with the gift.